Materials: Three piece Black Walnut bar top with live edge walnut framework and cherry panels. 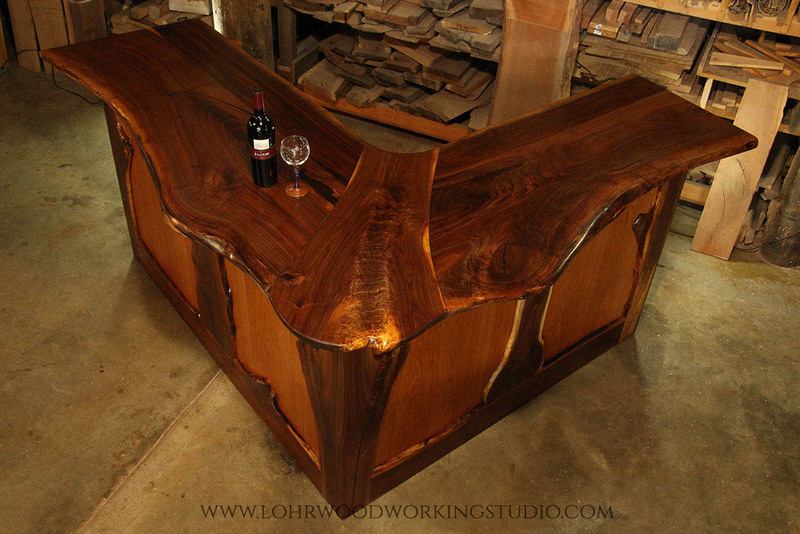 The bar top of this piece is it's most stunning feature. 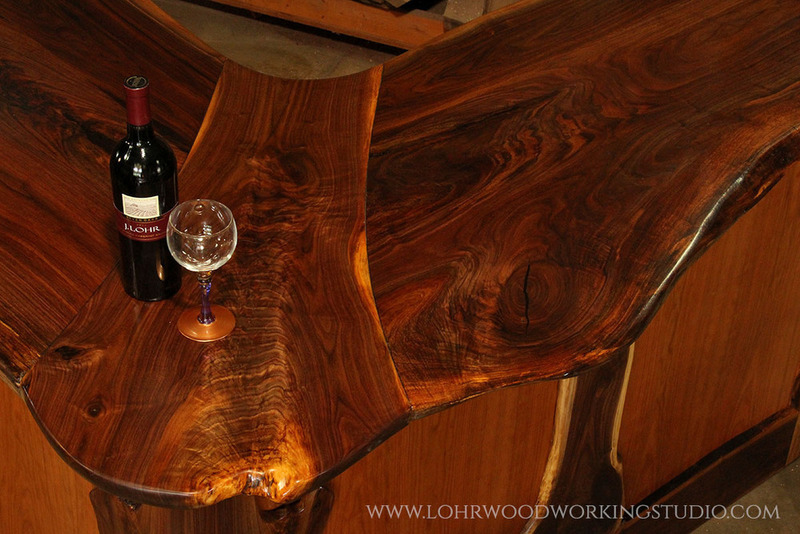 To create this L shape, we used a unique curved joint to extend the live edge continuously across the inner and outer edges of the bar while creating a focal point in the center. The walnut used for the top is a bookmatch of beautifully figured walnut that is brought together by an extraordinary crotch grain piece. The cherry panels of the base are framed with live edge walnut. 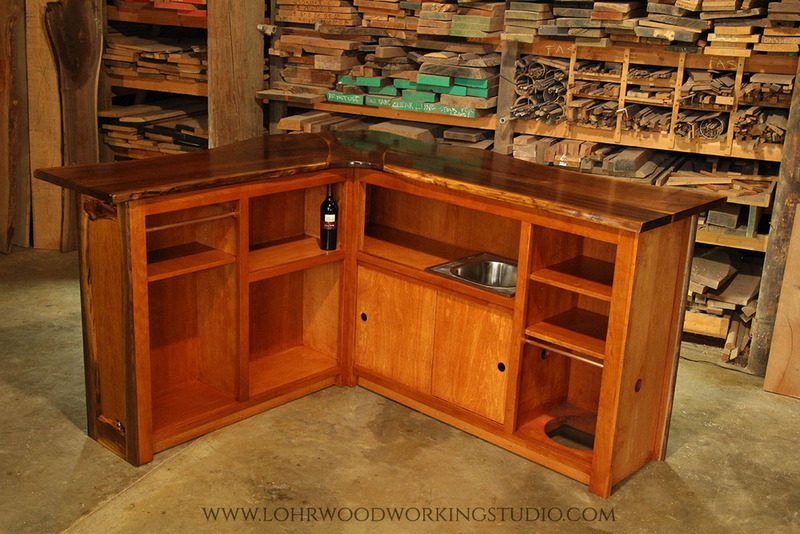 The inside of the bar features adjustable shelving, sliding doors, a sink and polished copper towel rods. *The price listed is based on this particular bar. This is a uniquely custom piece and a realistic quote can be made after measurements are taken of your space.